The Humminbird 410290-1 HELIX 7 CHIRP GPS G2 Fish Finder was although a good effort by the company but many users were not much satisfied by the product. The machine was clearly not worth what demanded. No unit cover included in the package was a highly disappointing factor for the customers. The Helix 7 CHIRP GPS G2 Fishfinder is the new product by Humminbird. This fish finder has many features which make it unbeatable. With the switch fire sonar system, now you have full control over what’s happening beneath your boat and that how and when the sonar returns back. Humminbird integrated Clear and Max modes so you can have complete control over the sonar. Not only this, but the HD display increases the accuracy and precision of your catch. The maps are clear and vivid enough, thereby increases the chances of a successful catch. The machine has other noticeable features mentioned below. The UniMap is already integrated into the Helix 7 where the maps of full US coastline are drawn, however, some places are either left vacant or the maps are not drawn. Therefore, Humminbird decided to put in a new feature i.e. the AutoChart Live. This feature allows you to draw maps of places whose maps are not drawn. So now you can yourself create live, detailed and digital maps on the water with the Humminbird HELIX 7 CHIRP GPS G2 Fish Finder. This feature can also be used to enhance and upgrade the existing maps and charts. This feature was highly appreciated among the customers because now you can make a map where there is none. Many of the cheaper fish finders are also available but these only have a single sonar system which does not cover a lot of area, therefore, the output is not as desired. However, the HELIX 7 CHIRP GPS G2 Fish Finder supports a DualBeam Plus Sonar system helps you cover a wide and detailed area. There are two types of beams i.e. the narrow and wider one. The narrow beam can be used at times when high accuracy and precision are required and the wider beam can be used for the larger search area. 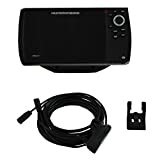 The Humminbird 410290-1 HELIX 7 CHIRP GPS G2 Fish Finder was although a good effort by the company, but many users were not satisfied by the product. The machine was clearly not worth what demanded. No unit cover included in the package was a highly disappointing factor for the customers. The plastic cover was not also of high quality, however, the problems reported were mainly with the hardware of device and not its software. The GPS system, switch fire sonar and dual beam sonar was appreciated by people. This fish and depth finder received a rating of 4 out of 5 stars which show that it was liked more than being disliked.